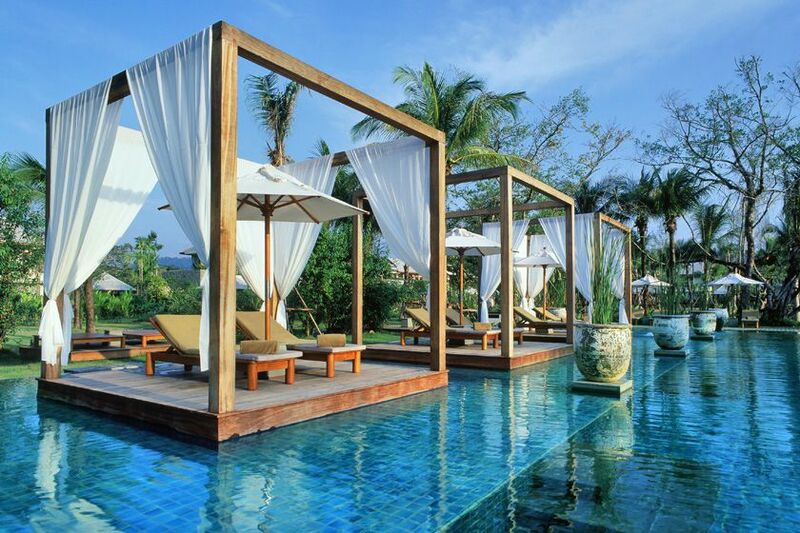 The Sarojin is a stunning beachfront boutique resort north of Phuket looking out over the crystalline waters of the Andaman Sea. This luxury coastal resort is situated on a stretch of beach with a clear lagoon on one side and the sea on the other, ideal for watersports. With a large ficus tree forming the centre point with the Ficus restaurant right below its canopy, the structures of this resort blend well with the natural surroundings. 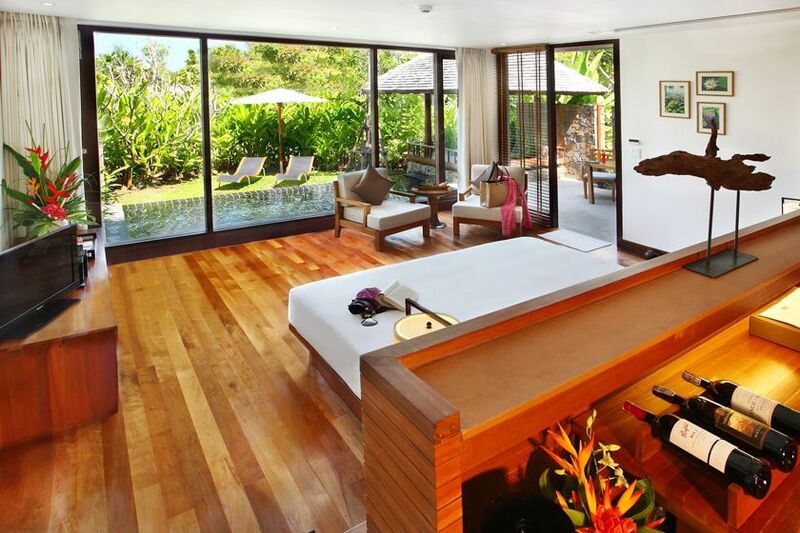 Guest accommodation is strewn throughout the resort's grounds, featuring oversized egg-shaped bathtubs to luxuriate in and open-air large pavilions. Whether you select one of the luxury suites or elegant residences you'll find privacy and space in abundance, coupled with state-of-the-art facilities, stylish furnishings, rainfall showers and all those little extras you'd expect from one of Thailand's leading luxury hotels. With a large ficus tree forming the centre point with the Ficus restaurant right below its canopy, the structures of this resort blend well with the natural surroundings. Enjoy the freshest local fruits and seafood, herbs grown in the hotel's own herb garden, and an enticing menu of traditional and contemporary Mediterranean cuisine, perfectly prepared and beautifully presented. Hidden way under the ancient ficus tree, guests will discover The Cellar, an open air bar and cooled wine cellar, which has won several awards including the 'Best Wine List in Thailand' and an 'Award of Excellence' from Wine Spectator. 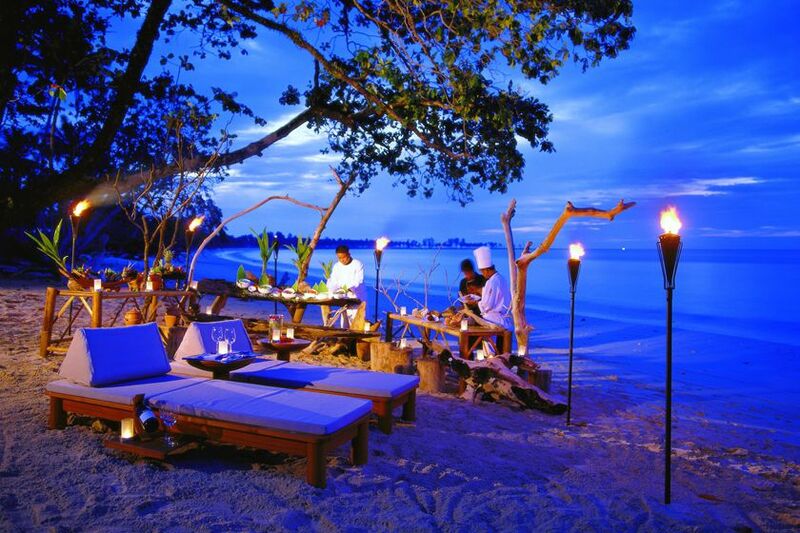 Finally, The Edge restaurant, with its gorgeous open air timber pavillion and stunning views across the beach and the Andaman Sea, offers a menu of signature Thai and seafood specials. This luxury coastal resort is situated on a stretch of beach with a clear lagoon on one side and the sea on the other, ideal for watersports. For the ultimate in relaxation, the resort's world-class spa offers a host of treatments, as well as yoga and Tai Chi classes. Unleash your adventurous spirit on a personal jungle adventure for two, complete with champagne or embark upon a canoe safari and elephant tour. The resort's Thai cooking classes are also highly recommended, and for golf enthusiasts there are a host of first-class courses within a 15 to 30 minutes drive.